A variety of ceiling tiles and grid systems are available. From standard 24mm/15mm lay in grid, MF plasterboard systems and soffits, to concealed systems, or the more contemporary canopy systems, along with specialist ceiling products which aid in compatibility for acoustics, humidity resistance, hygiene regulations and fire performance. Glass systems used for partitioning or solid use in offices, offer outstanding fire, acoustic and structural performance, while creating an atmosphere of space. Available systems range from full height single and double glazed frameless systems, to integrated alluminium systems. These can be sprayed any RAL/BS number to compliment any design and include pre assembled window frames. 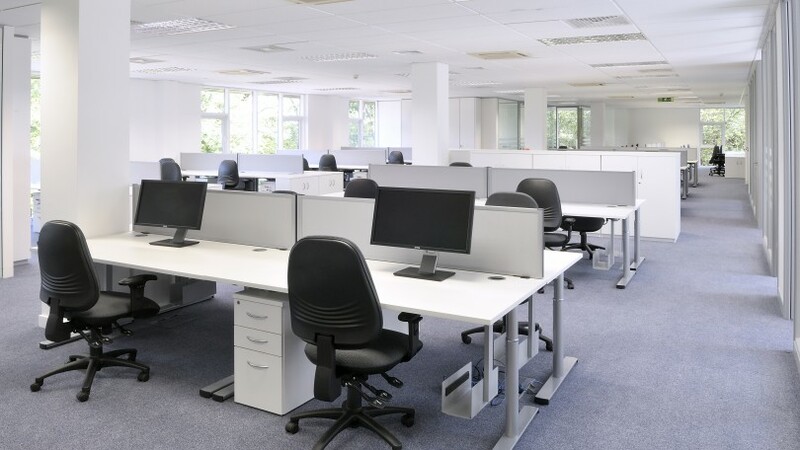 Traditional partition systems offer a cost effective method of defining work space and as with glass systems offer outstanding fire, acoustic and structural performance. Systems range from a ‘classic’ metal stud dry wall system through to fire casing shaft wall encasement and curved systems. © 2016 CBS Cheshire Ltd. All Rights Reserved. Some images have been supplied courtesy of Komfort - the UK's leading manufacturer of interior partitioning products.